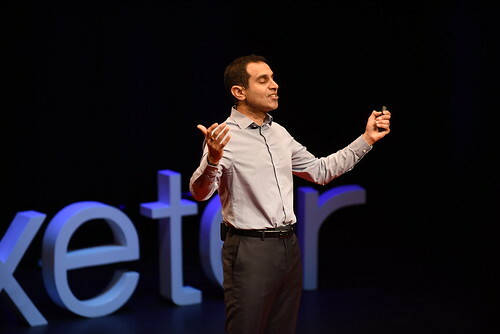 When two people independently suggested to me that I might organise a TEDx event, I dismissed the idea, saying I hadn’t got time, I didn’t have the right kind of contacts, and various other excuses. However the seed of this idea was planted and somehow wouldn’t go away. 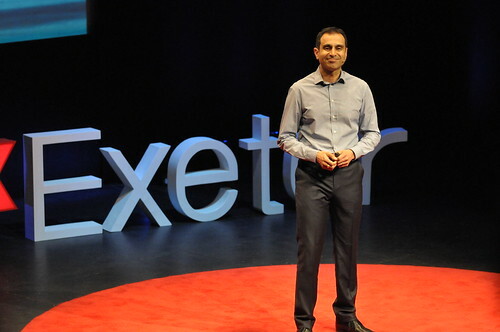 Having been to three TED conferences I realised that organising a TEDx event would be a great way of getting to know people in Exeter and Devon who are enthusiastic about what they do and who are making a difference in the world. I also had an instinct that if I worked on the project with a friend it would be a lot more fun and we could share the load between us. Claire Kennedy came to mind immediately because I knew she loved watching TED talks and our children are friends with each other. 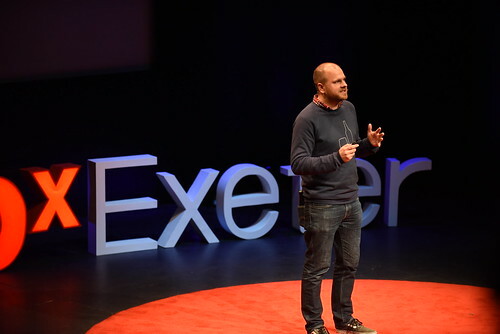 So about a year ago now I was having a coffee with Claire and tentatively suggested we might organise a TEDx event in Exeter. Much to my surprise and delight she gave a very positive Yes to the suggestion. Probably just as well at that point that neither of us had the least idea of what would be involved in terms of hours of hard work. 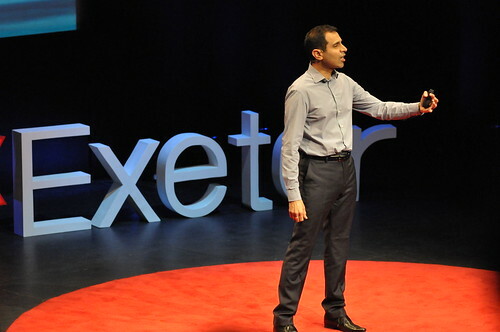 We didn’t know how many people or organisations in Exeter knew about TED, so we thought we’d start small – maybe 100 people or so. 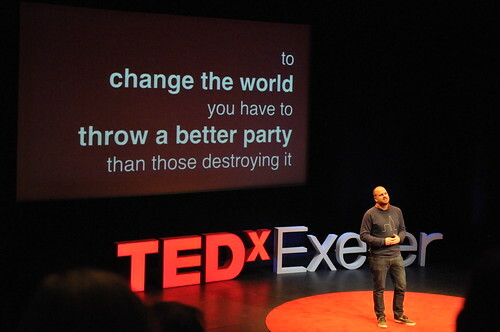 The first step was to read all the rules on the TEDx website for organising an event and to apply for a licence. 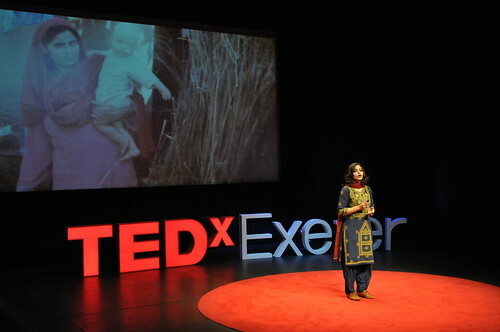 As no one had so far organised a TEDx event in Exeter we were able to take the name TEDxExeter. The licence was granted within days of applying – in June last year. So suddenly we realised this really was going to happen. There were several factors early on which gave us momentum. 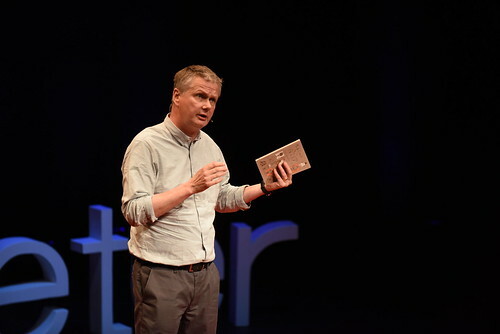 One was that my brother Chris Anderson, the TED curator, agreed to speak at TEDxExeter, and in fact we organised the date of the event around his diary. There was also a weekend training conference for TEDx organisers just before the TEDGlobal conference last July, so I went to that to learn how to do it! There were TEDx organisers from all over the world, and it gave me a real sense of being part of a growing and exciting global network. I met the organisers of TEDx events in places like Cairo, Baghdad, Ramallah and Jaipur, as well as organisers from the USA and UK. 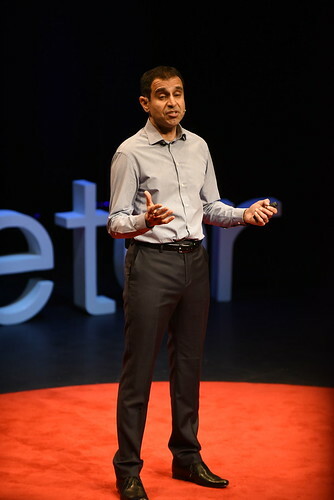 I picked up lots of tips from talking to people, and over the months we have had a certain amount of mentoring from the TEDx team in USA as well as from other TEDx organisers. So that’s been a real help. 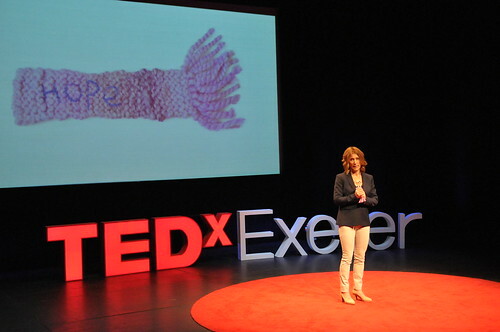 Claire and I spent last summer looking around at possible venues to hold TEDxExeter. We wanted to be reasonably central in Exeter and it had to be somewhere where we could provide lunch. 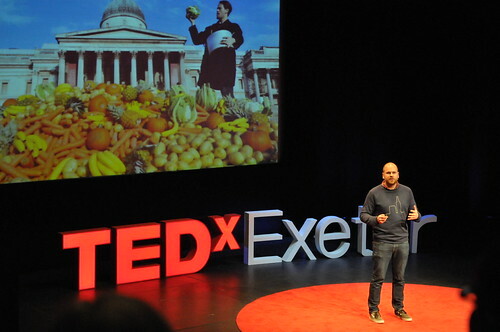 Also having decided on the theme, we were already thinking about how to provide food that was sustainably sourced. I think we must have looked at almost every city-centre church and theatre that Exeter has. Meantime as word started to get out that TEDxExeter was going to happen, people started getting in contact and we discovered that there were in fact a lot of TED fans in Devon. 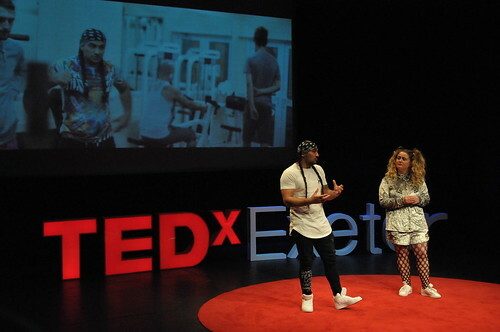 Lots of people said to us “This is so great, I was thinking of doing a TEDx event but haven’t got round to it yet”. No venue seemed quite right until we looked at the Northcott Theatre up at Exeter University, which seemed ideal, especially when we realised that we could combine it with having the breaks in the Great Hall. We had an anxious few weeks waiting to hear if the Northcott would agree to have us. They had funding concerns, and agreeing to give us a Thursday afternoon and a Friday would mean that the theatre couldn’t be used for a drama week. There were twists and turns along the way as we hoped for confirmation, and finally in October the Northcott was confirmed as the venue – time for champagne – and then the realisation that we were now planning for 460 attendees! The Northcott proved to be a brilliant venue for lots of reasons and they were very generous with their terms. So fingers crossed that we will be able to book them again for next year. From the time we got our licence onwards, Claire and I were looking for speakers and performers for the event. We spent many afternoons googling people who we thought might be great speakers, looking at their websites and getting in contact. We shot out arrows in all kinds of directions in the hope that something would come of it – sometimes it did and sometimes it didn’t. We went to elaborate lengths to try and contact Chris Martin of Coldplay, a local boy before he was an international superstar. No luck on that front, but great that his mum called us to say he would be out of the country in April but would otherwise have been interested. 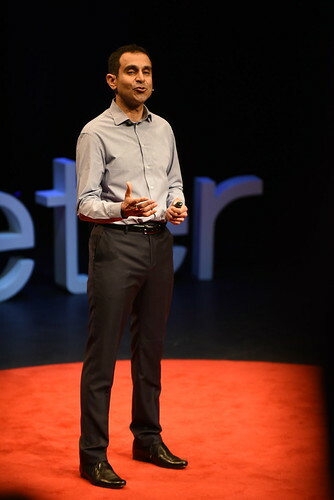 However lots of people did say “Yes”, and as word got out that the TEDxExeter line-up was going to be really interesting, people started to email us asking to speak or perform. So we spent many hours in a local café, meeting not only potential speakers and performers but also potential team members. Some people who got in touch turned out to be key people, like Rupa from the Innovation Centre at the University. We developed a good relationship there, where she gave work experience to young people who helped us produce html documents and other publicity, and her husband Clive became the person who took charge of our social media. We gradually built a team with other key people who had skills that Claire and I didn’t have, like doing the website. During the autumn 2011 and all through the spring 2012, we had regular team meetings where there was a great team spirit and lots of energy and ideas. It was a huge relief to find that we had a core team of really committed people and that lots of the jobs could be delegated and shared. We had great debates along the way about how to do ticketing, whether or not to have goody bags, how much to advertise the event, and how to make it accessible to lots of different groups in the community. 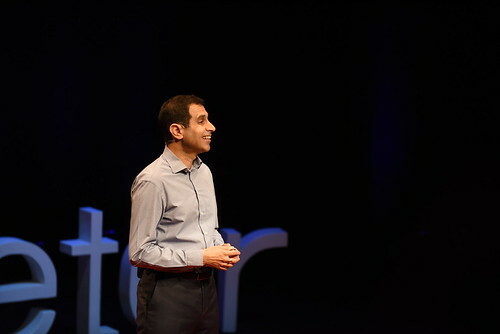 Some ideas evolved gradually and came out of other things, like the desire to give people information about local opportunities which turned into the Connections Stand. Raising enough sponsorship was a real challenge and in the end boiled down to approaching companies or businesses that had personal connections with people we knew. 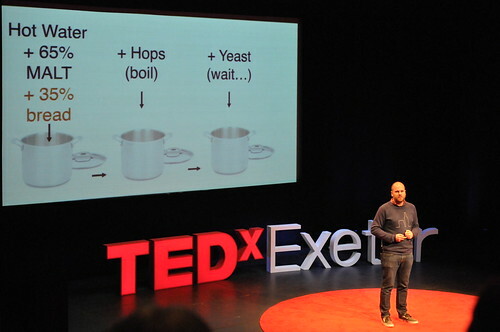 Claire’s husband Sean produced an excellent visual presentation about TED and TEDx, which also helped a lot in trying to persuade companies and individuals to give money. At the end of the day, we managed to cover our costs, but it was a big challenge persuading businesses to give money to an event which from their point of view was an unknown quantity. 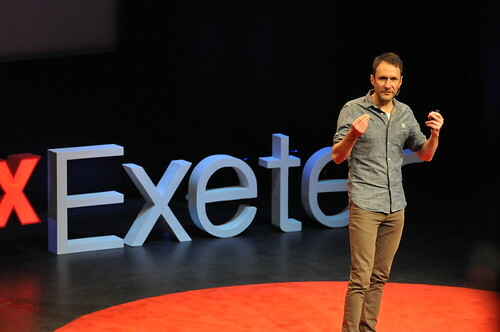 Now that TEDxExeter is firmly on the map, we hope that finding sponsorship next year will be a lot easier. Coaching and preparing the speakers was another big part of organising this event, and involved numerous meetings and phonecalls. What they would talk about, how many minutes we would give them, and then the whole question of how to plan the programme, what order the speakers should go in and which TED buy modafinil amsterdam talks to screen. Oh and how many and which performers to have. We agonised over all of this. 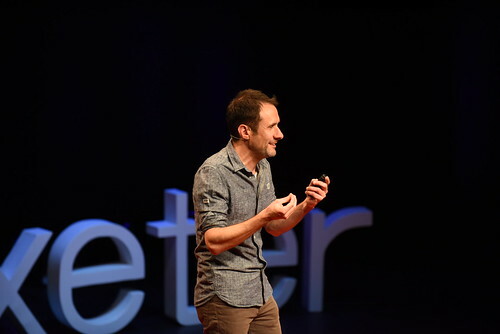 Hiring a film crew was also a huge decision, and something that was completely outside of our experience before doing TEDxExeter. Tobit and his advice proved to be completely invaluable. 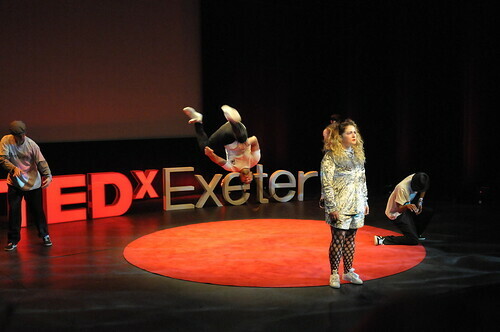 So TEDxExeter has been a huge learning curve for Claire and me. We’ve had times of tearing our hair out, we’ve laughed a lot and more than anything we’ve got to know lots of truly wonderful people. The day itself went better than we could have hoped, and we have been thrilled to bits by all the enthusiastic and positive responses we’ve received. 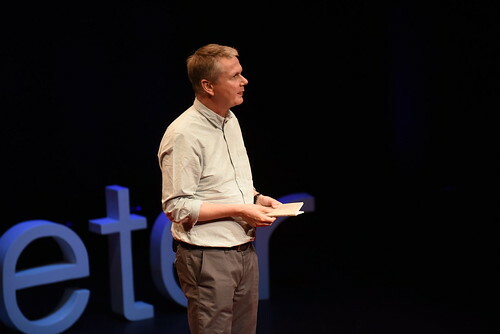 It’s exciting to see lots of action and ripple effects resulting from it all, and we hope that the inspiration and challenges and connections will continue to bring about positive change in Exeter and beyond. 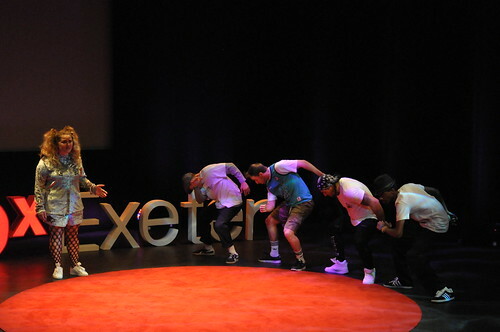 And with our fantastic team we’re now planning TEDxExeter 2013! It seems you both had a good approach to the event. I liked very much this story. In the end the result worths, isn't it? Congrats and may the next year be a great year for another event! Thanks Marconi. All the best for TEDxRio and TEDxRio+20! !